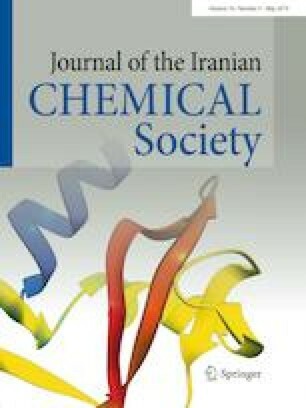 This paper describes a facile pathway for the one-pot three-component synthesis of 3-(2-(phenylamino)thiazol-4-yl)-2H-chromen-2-ones starting from ethyl-4-chloroacetoacetate by treating it with equimolar amounts of various phenylthioureas independently reaction with Salicylaldehyde. Use of biosynthetically prepared l-proline as an efficient catalyst and naturally extracted renewable poly(ethylene) glycol-600(PEG-600) as an effective green reaction media are the added advantages of this method. Alternatively, tandem, stepwise methods have been proposed and isolated the intermediate, to study the possible reaction mechanism. These reactions are very simple, rapid, cost effective, industrially viable, which would be applied for various biomass conversions. The authors are thankful to the authorities of Jawaharlal Nehru Technological University Hyderabad for providing laboratory facilities. One of the authors (KK) is thankful to the University for the financial support in the form of Lectureship.